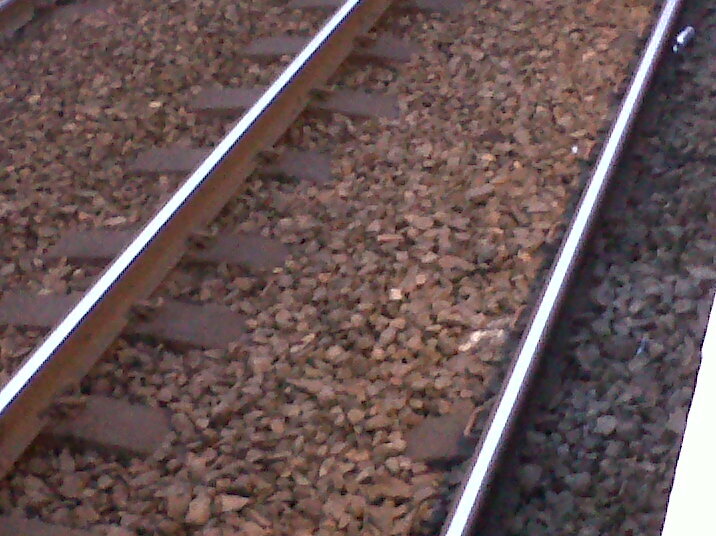 A disappointing title for today's blog unless one is particularly interested in ballast. 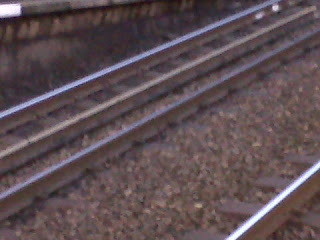 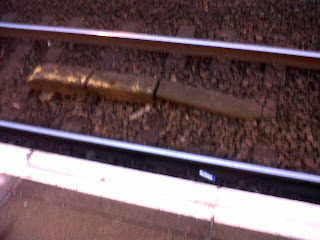 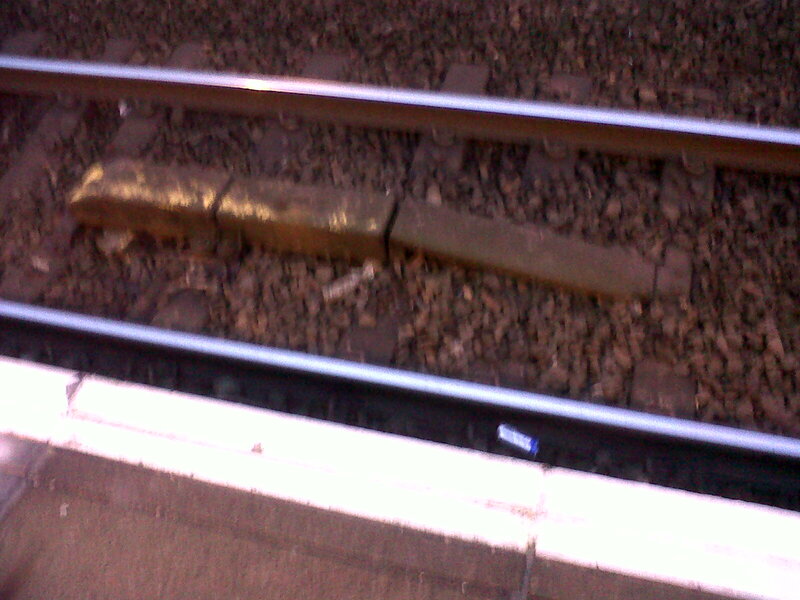 Took some photographs of the tracks at a local suburban station (Partick, Glasgow). They illustrate the gross difference in conception between commercial model rail track and the real thing. Apparently some enthusiasts actually manufacture their own track to achieve verisimilitude. 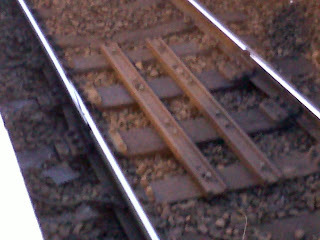 What these photos confirm is that most track is rust coloured (except for the top surface), that the ballast overlaps the sleepers and that there are all sorts of other things to be found between or near the rails. 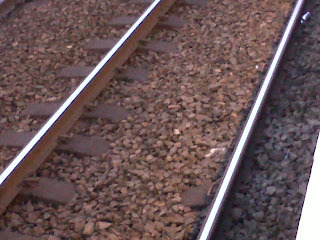 For example, in the final picture below, what looks like a third rail as in a three-rail system is in fact a spare rail that has been just left on the track. These pictures raise again the issue of the nature of this layout. 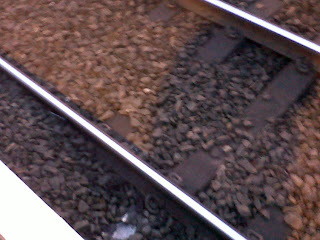 Am I going to go for an obsessive imitation of reality OR for something that looks impressive on it own terms. 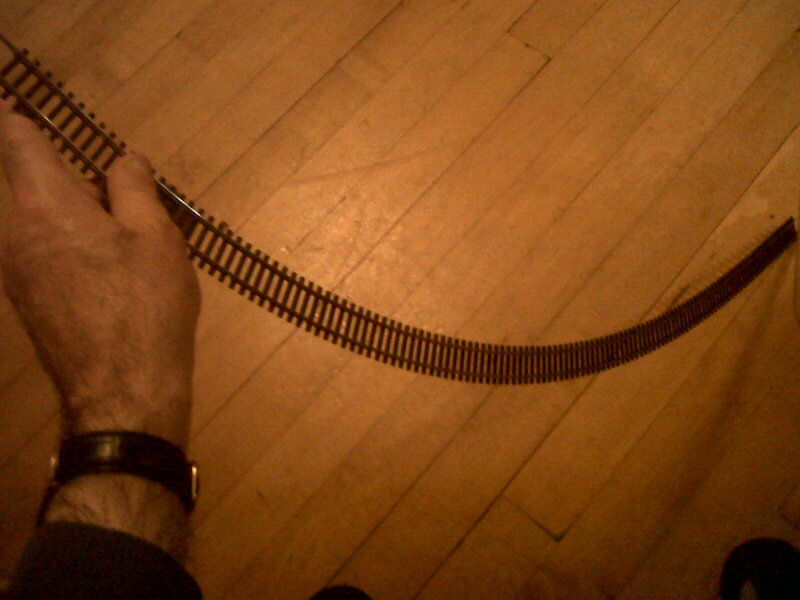 After all, there is something quite beautiful about a length of HO scale flexitrack. 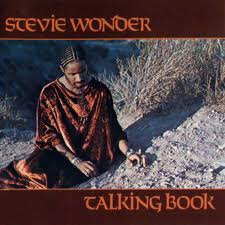 This comes under the heading, "Albums I never get sick of."